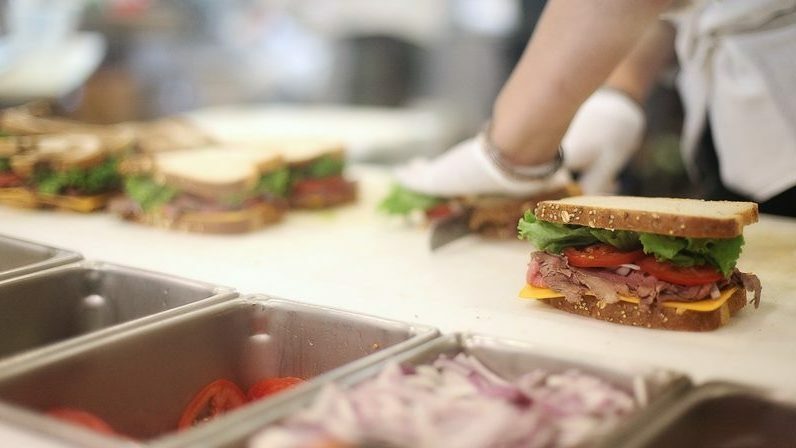 Our in-house deli features fresh, delicious ingredients you can trust – real food made from scratch, every day. Each recipe starts in the kitchen with our chefs who are passionate about good food. You’ll find grab-and-go entrées and sides, baked goods and desserts (like our famous chocolate chip cookies), delicious made-to-order smoothies and juices, plus a salad bar, hot bar, and full-service coffee bar. There’s something for everyone here – you’ll always find a selection of vegan and gluten-free options. There’s no skimping on quality at our co-op – there’s always something delicious cooking. For tasty food you can be proud to serve, try our Market Made catering at your next party or meeting. We pride ourselves on using the freshest, most wholesome ingredients and are committed to using locally-grown, organic, and fair-trade ingredients when available. Our catering menu offers boxed lunches, salads, entrees, specialty platters, beverages, cookies, muffins, scones, cakes, and pies. Talk to our deli staff to learn more about what is seasonally available. Catering orders must be placed at least two days in advance. Each day we offer a Daily Deli Deal. What can you save on today? Muffin Monday: 50¢ off muffins and scones. Take & Bake Tuesday: $1 off ready-to-bake whole pizzas. Pizza Slice Wednesday: 2 for $3 deli pizza slices (save $1). Pick & Choose Saturday: $1 off/lb. on salad and hot bar items. Deli Meat Sunday: $1 off/lb. on in-house deli meats. * Excludes monthly sandwich and smoothie specials.